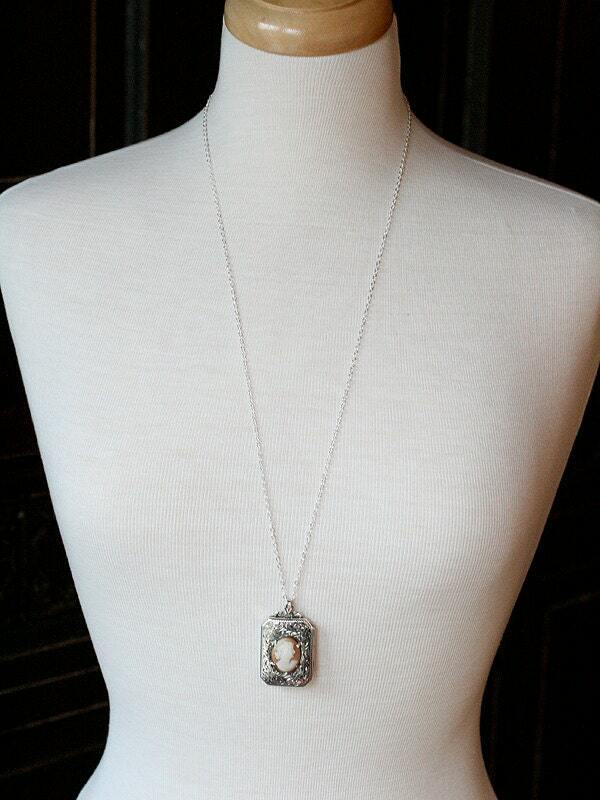 A rare sterling silver book shaped locket is crowned in elegant detail and engraved with an enchanting flower design. 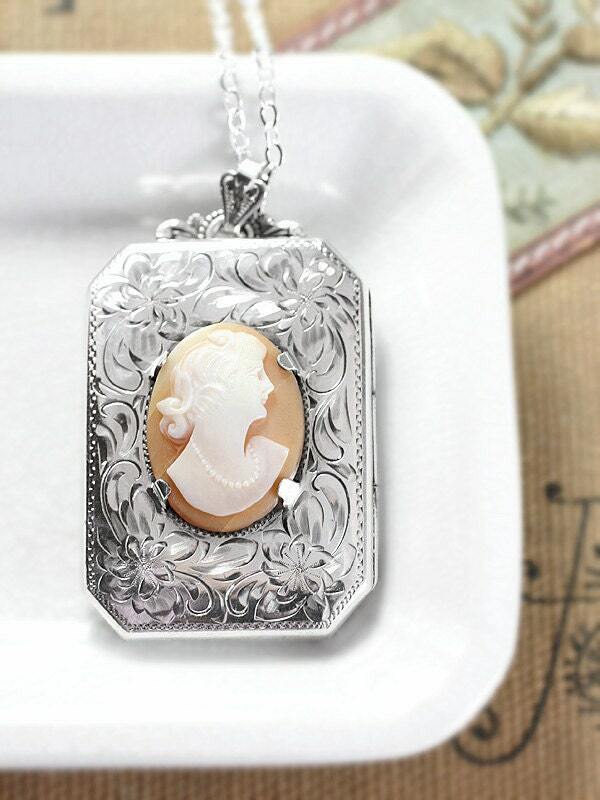 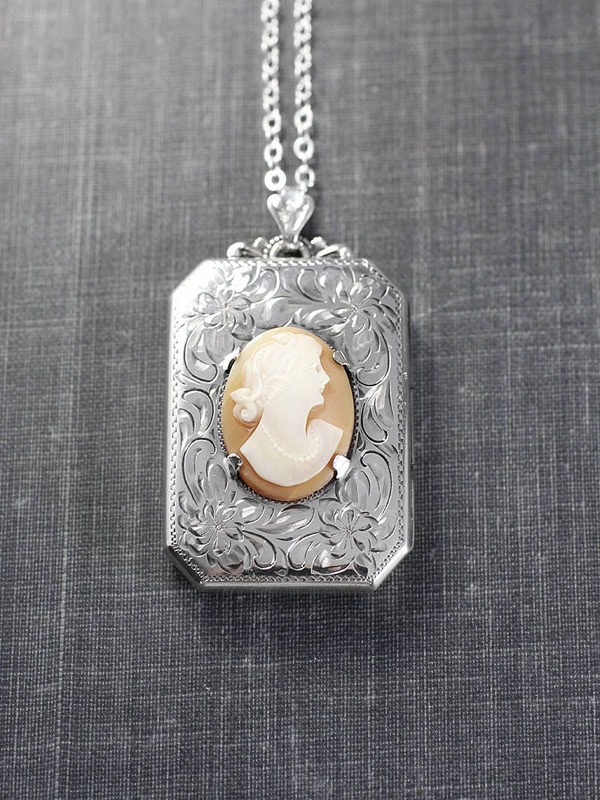 The locket is centered with a beautiful cameo of a lady wearing a pearl necklace. 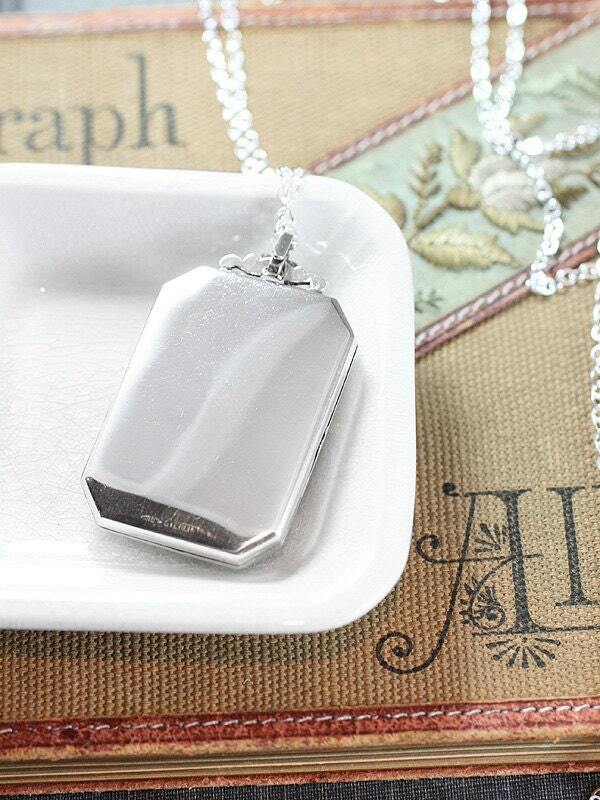 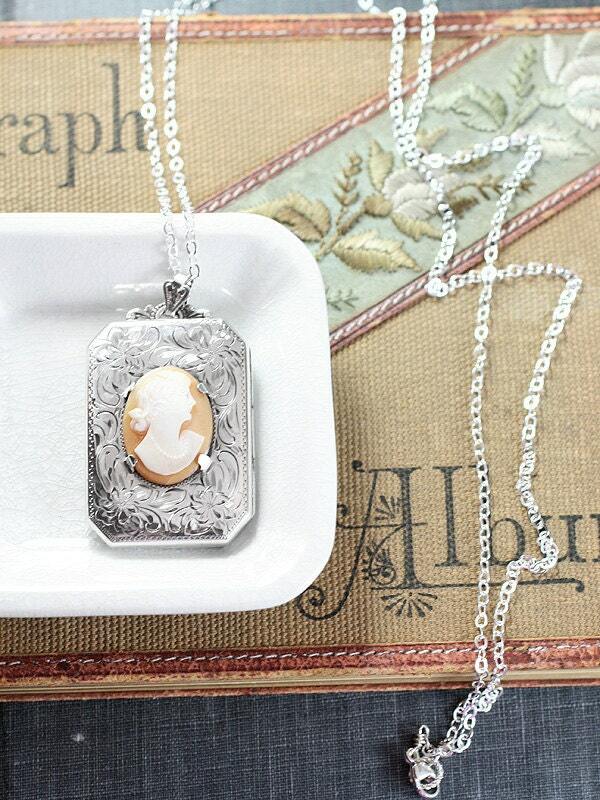 This gorgeous and unique pendant opens to reveal two places ready to hold your beloved photographs. 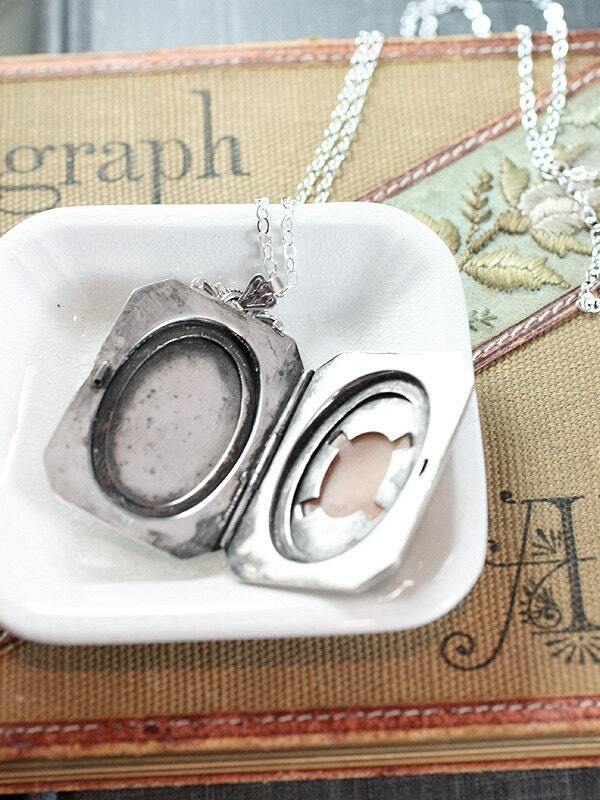 The vintage locket dangles from a matching engraved bail set on a new long chain of sterling silver hand finished with my hand wrapped trigger clasp and ring.